The living room is where you unwind, relax and feel right at home. 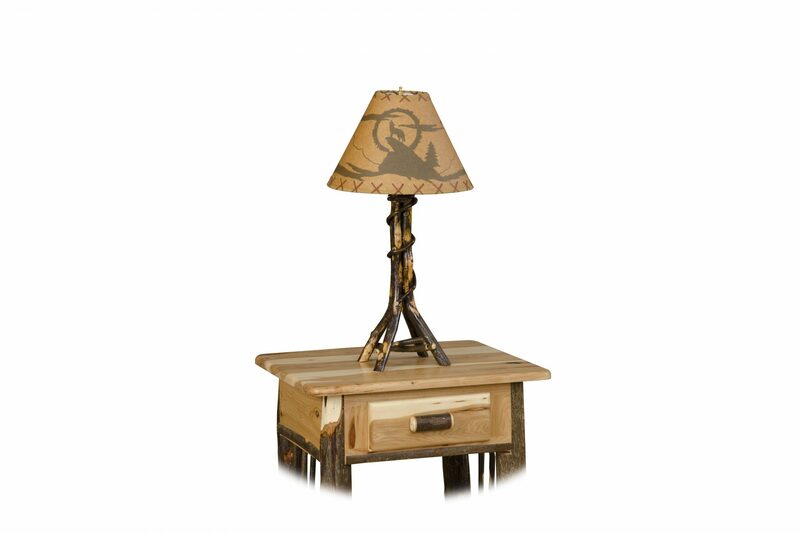 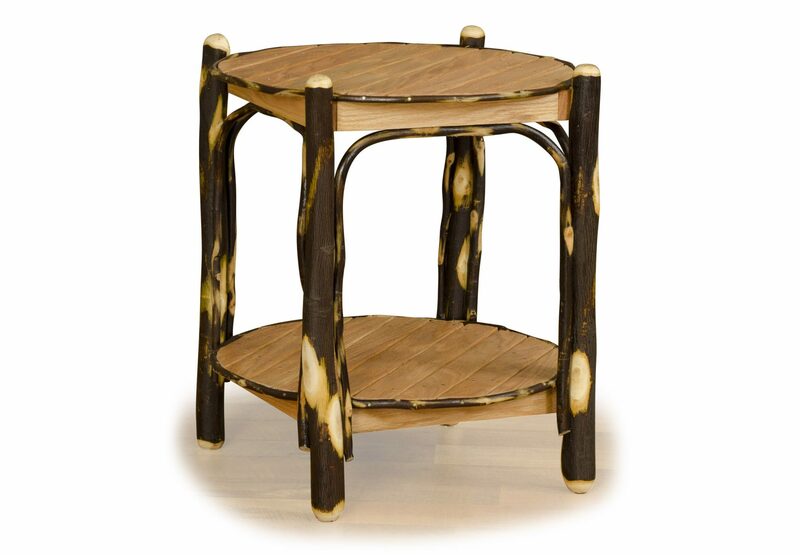 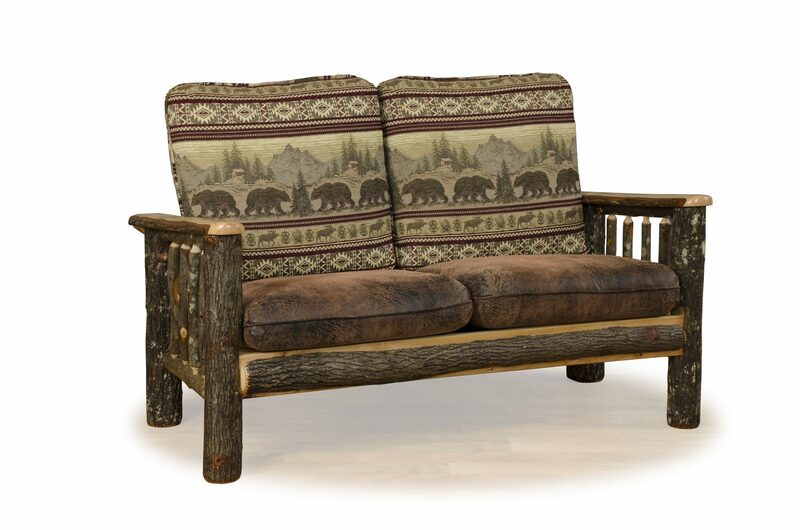 Log cabin living room furniture reflects your home and meshes with the style and materials throughout your cabin. 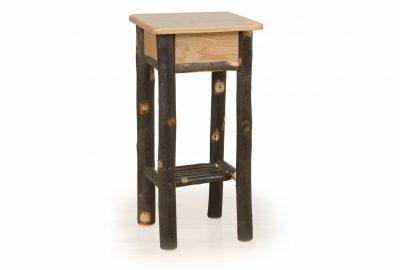 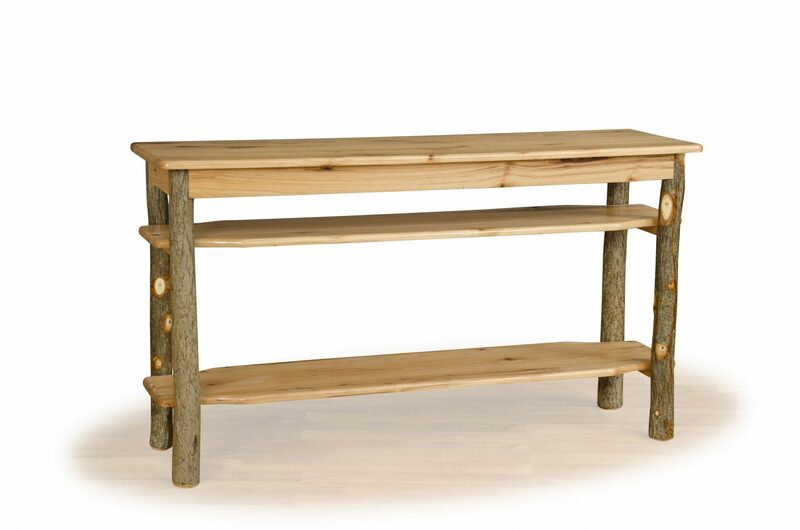 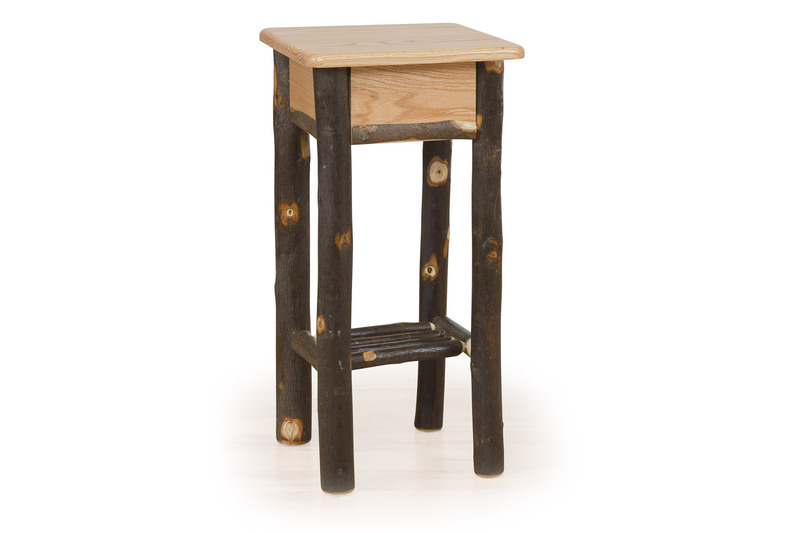 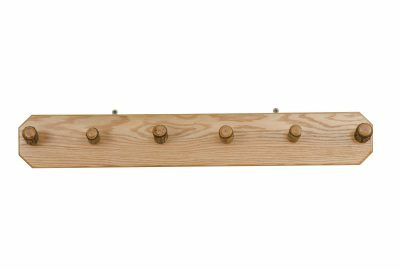 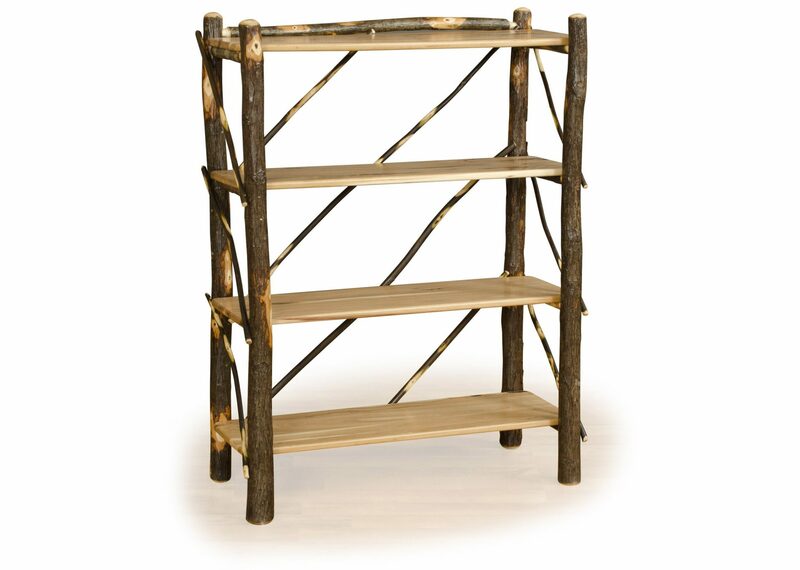 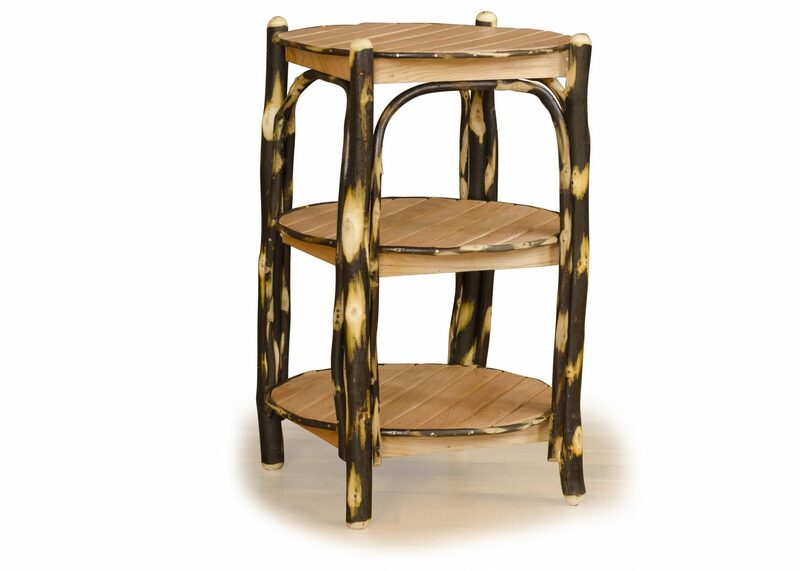 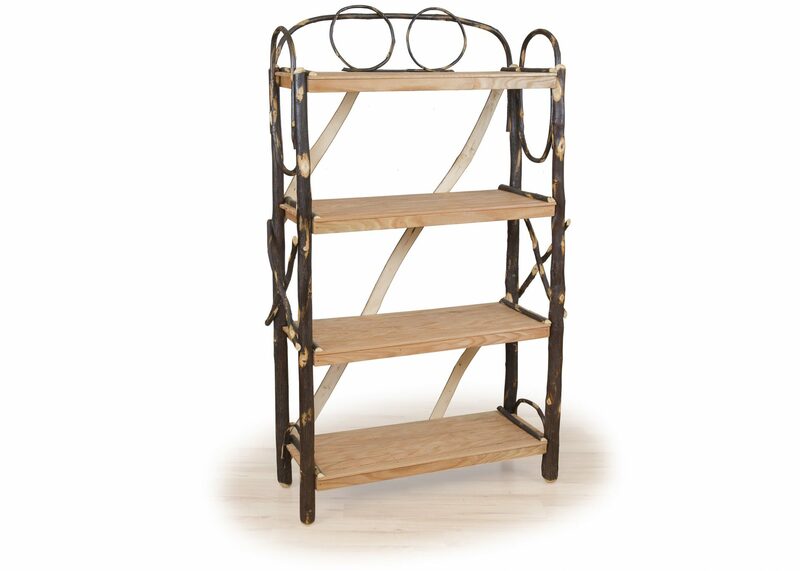 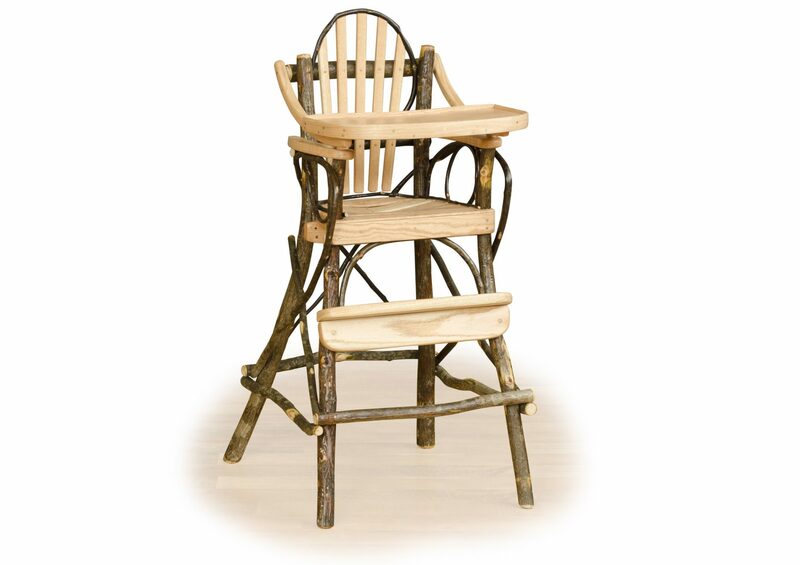 Hickory wood is incredibly strong and lasts a lifetime. 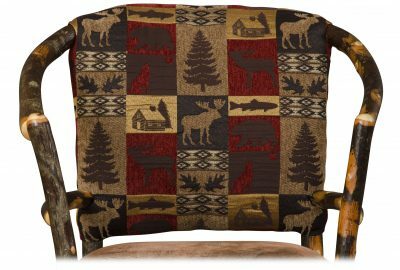 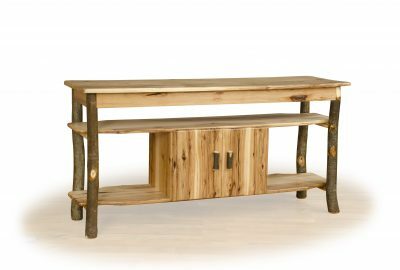 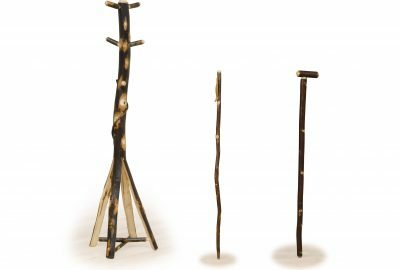 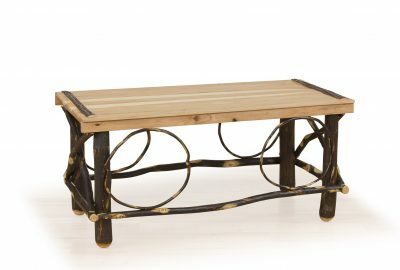 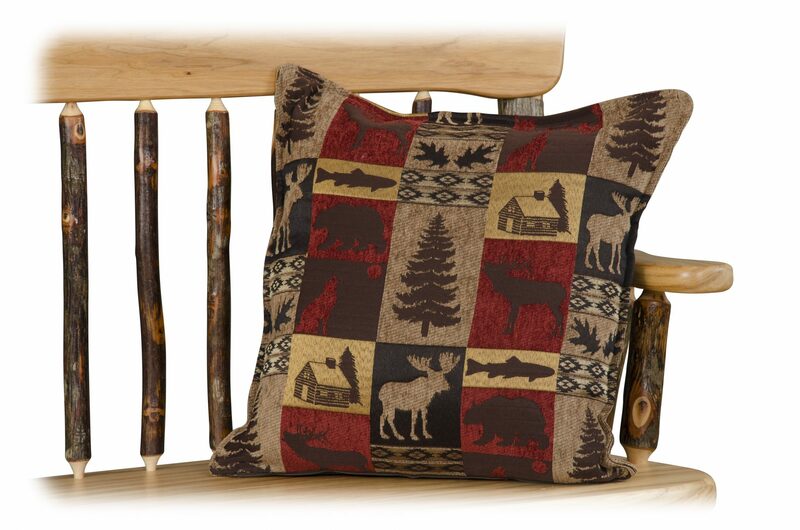 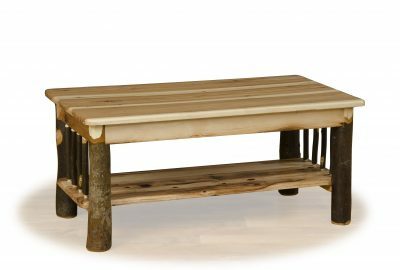 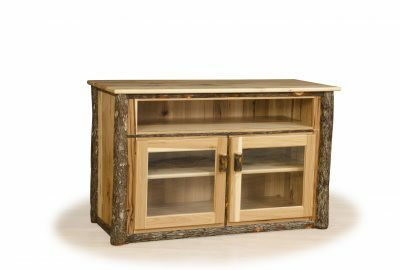 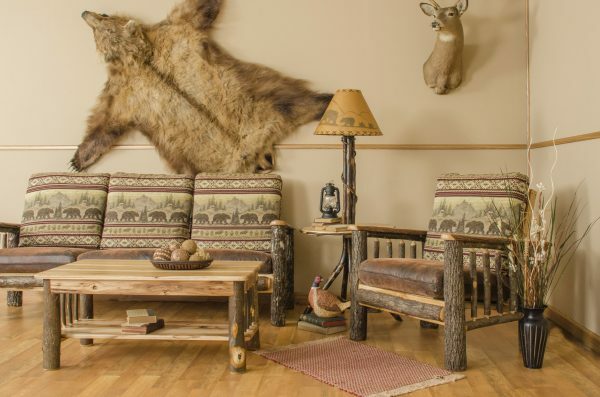 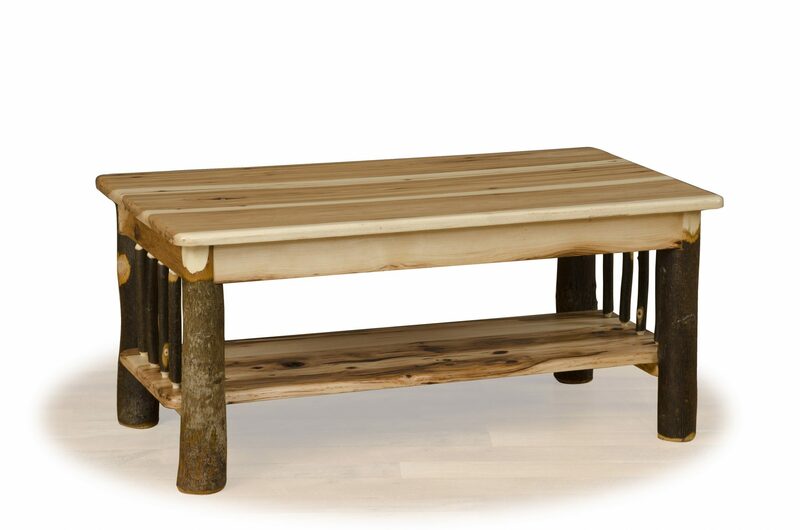 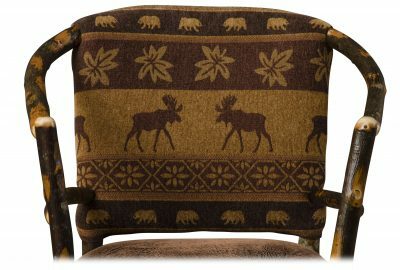 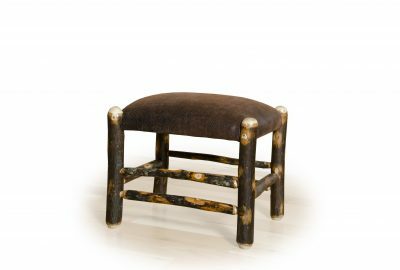 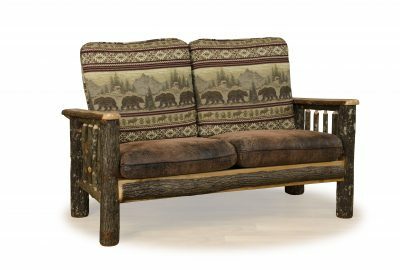 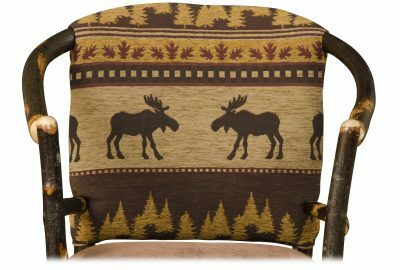 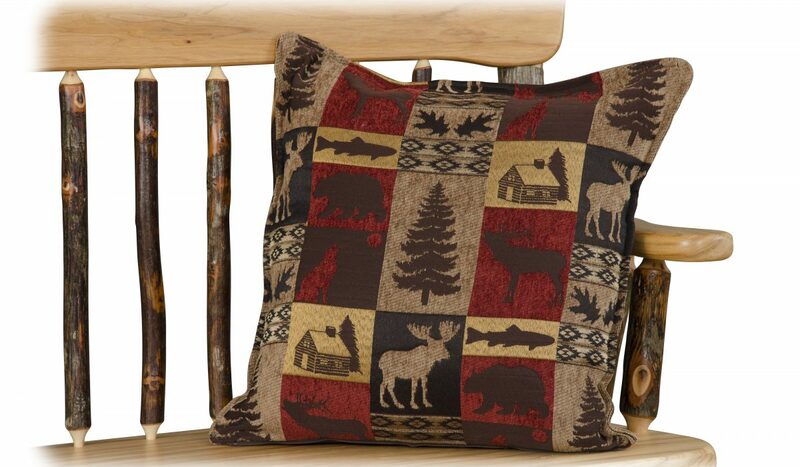 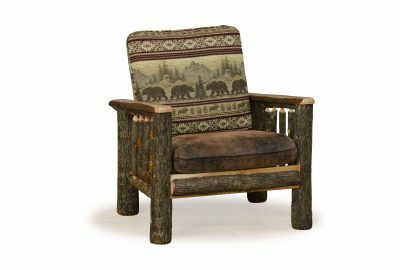 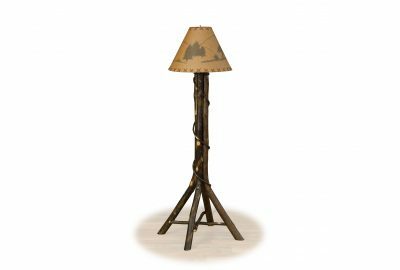 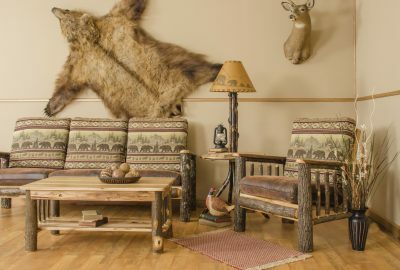 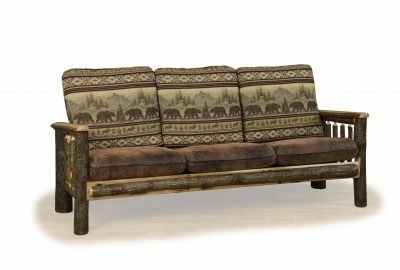 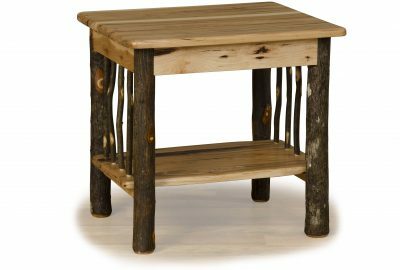 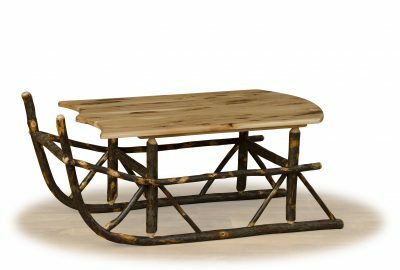 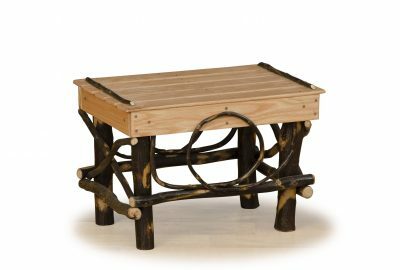 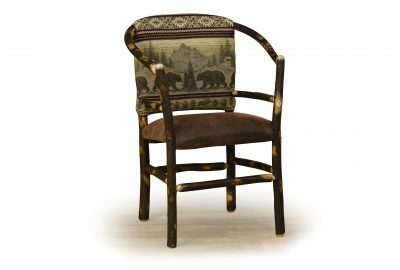 Choosing hickory living room furniture for your log cabin furniture is a savvy way to decorate your space with rustic style. 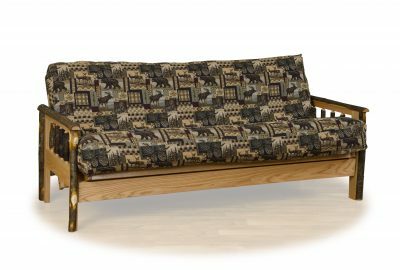 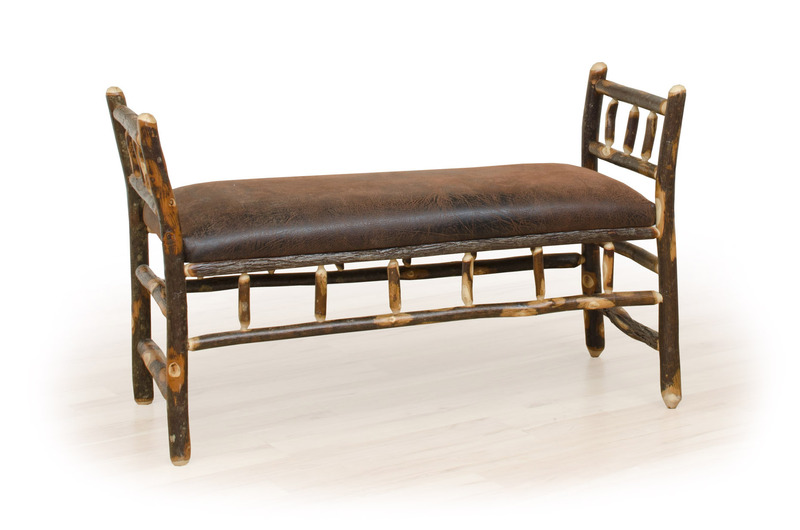 An array of hickory seating options are available including a sofa, loveseat, or futon for guests. 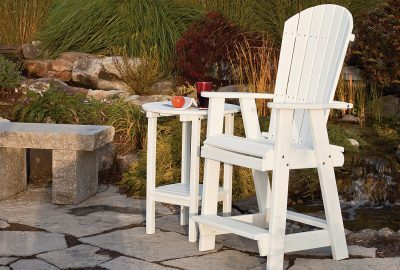 Slow down and enjoy life. 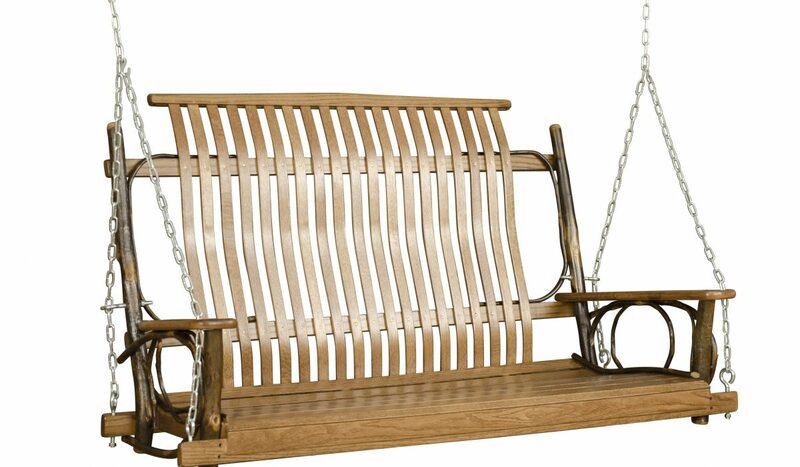 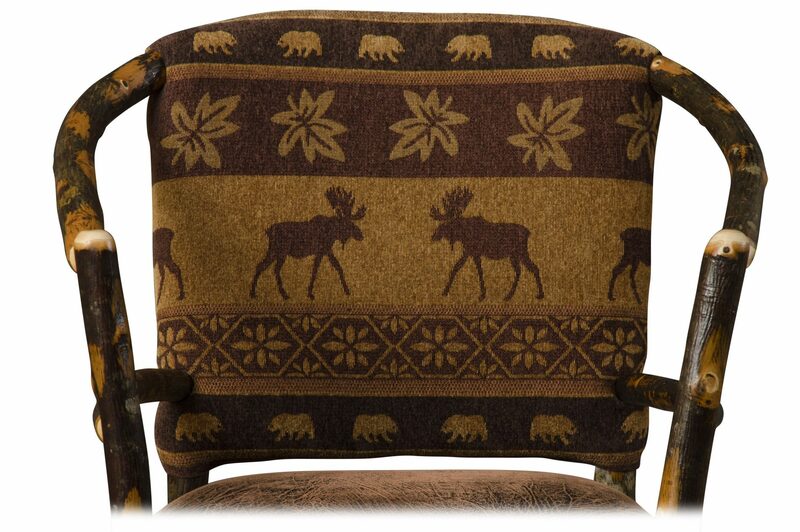 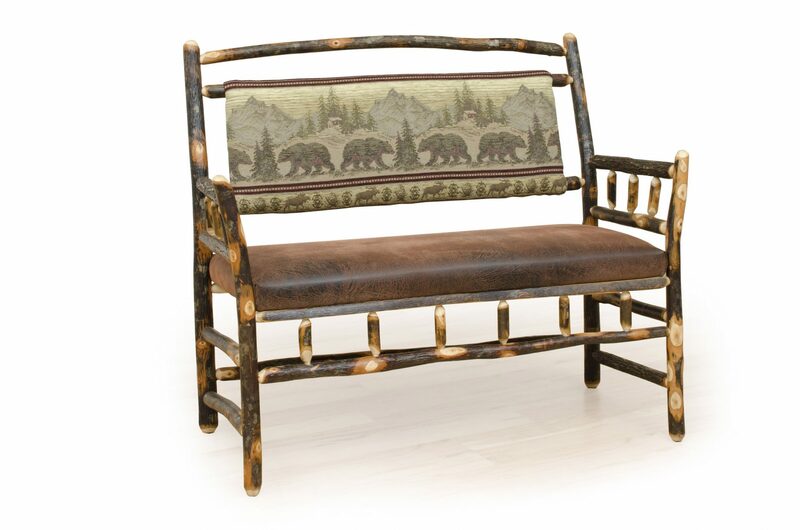 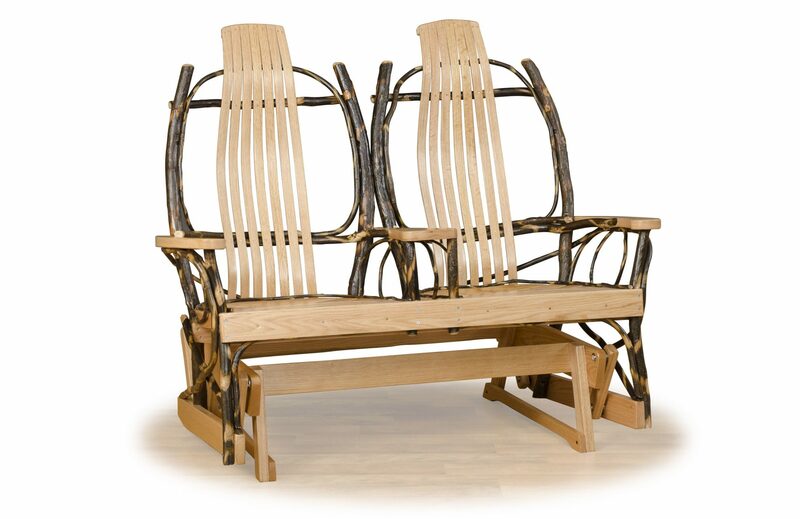 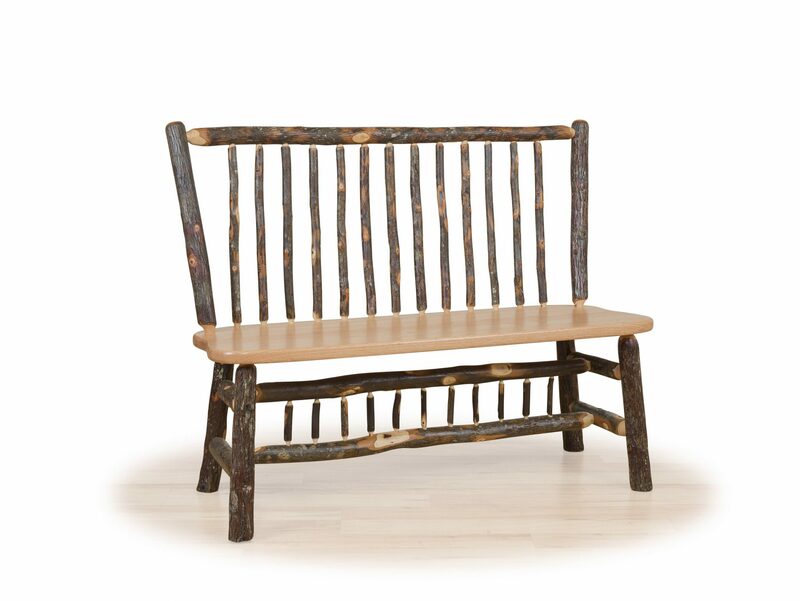 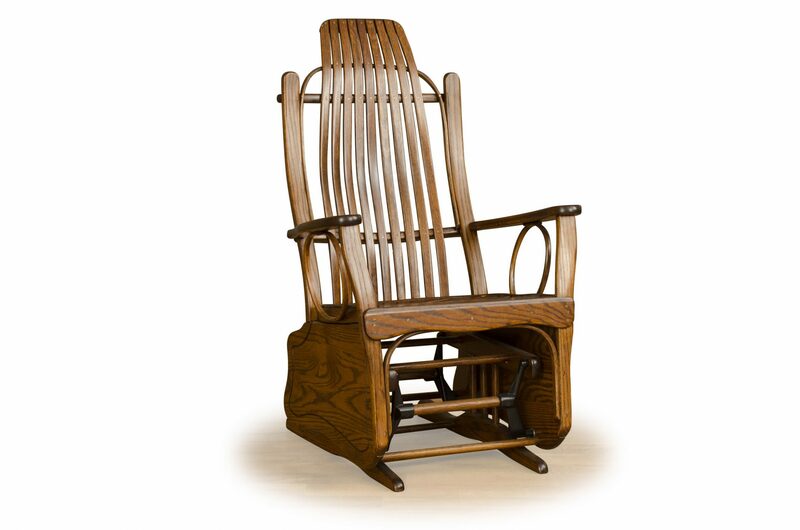 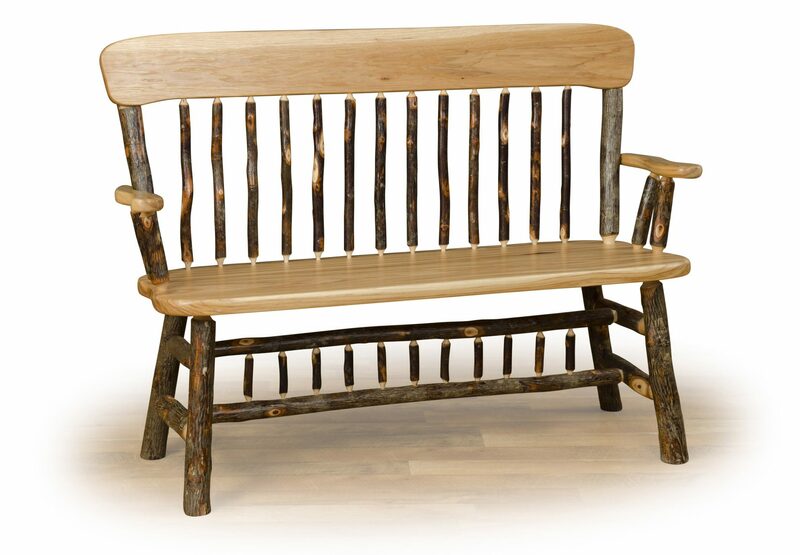 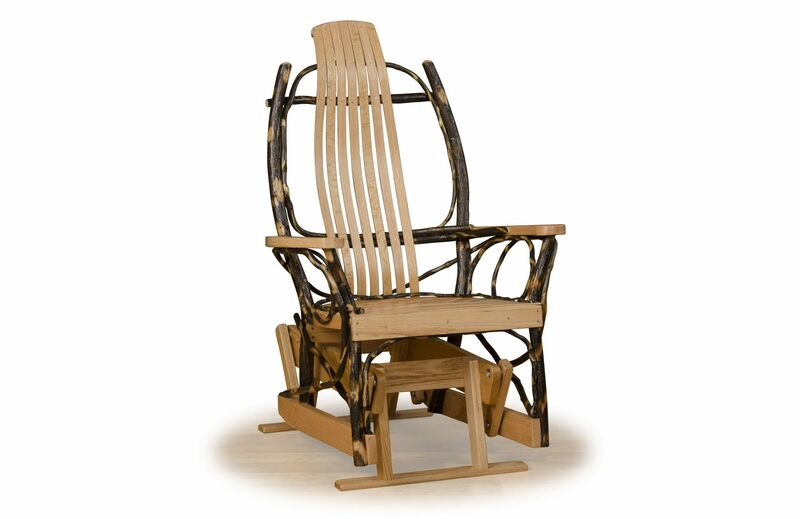 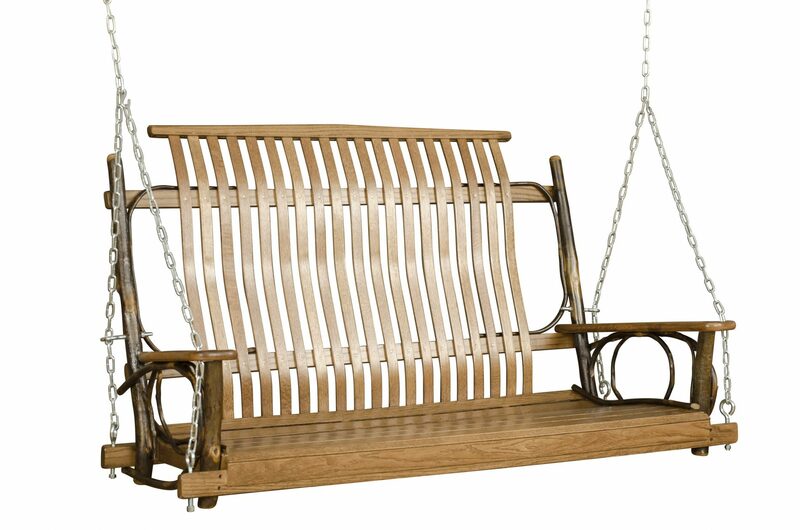 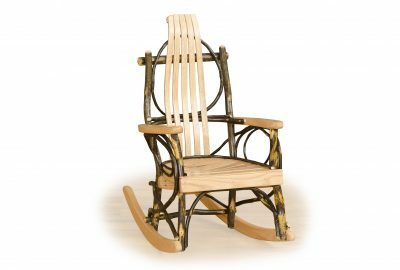 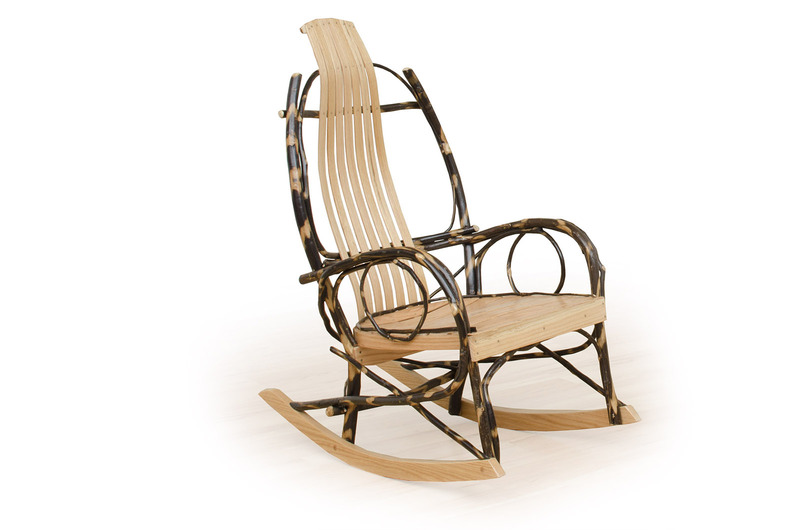 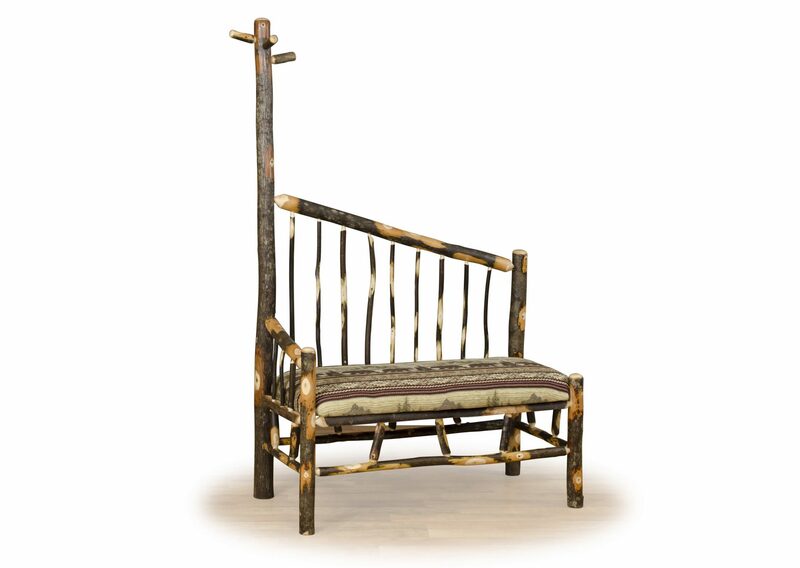 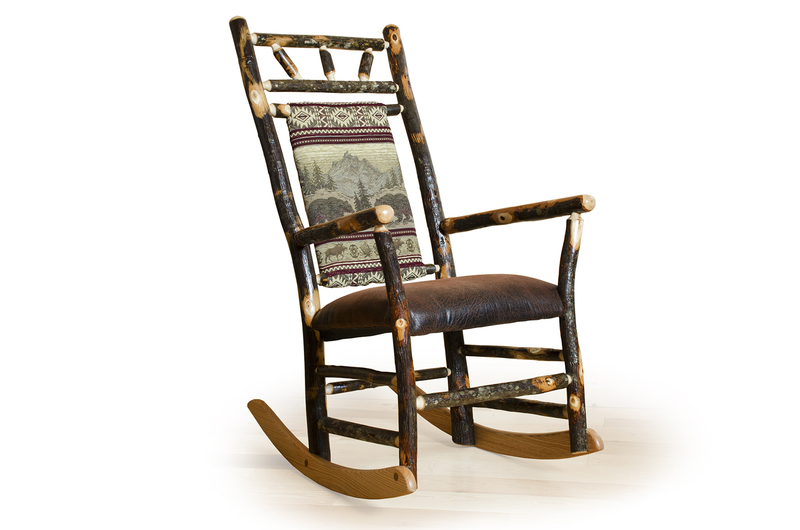 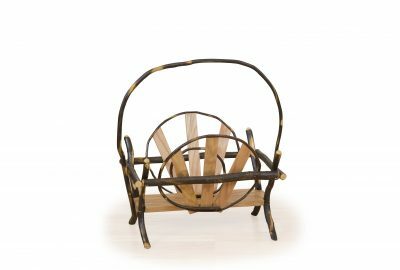 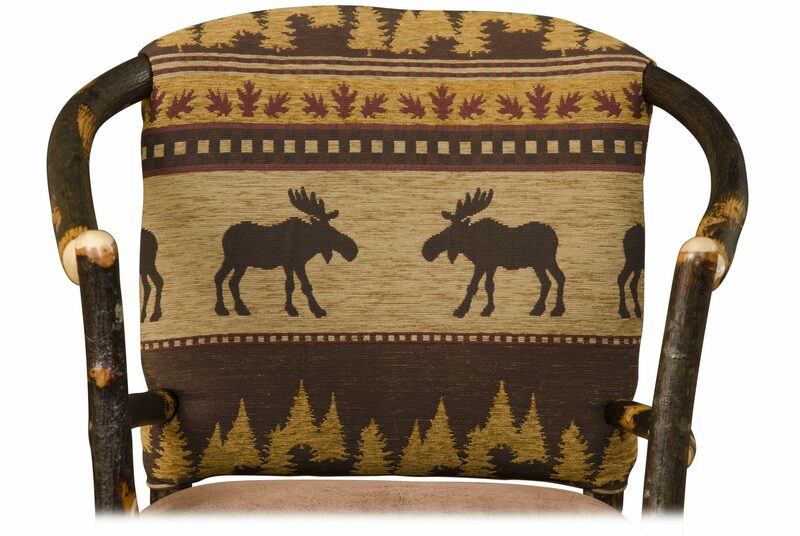 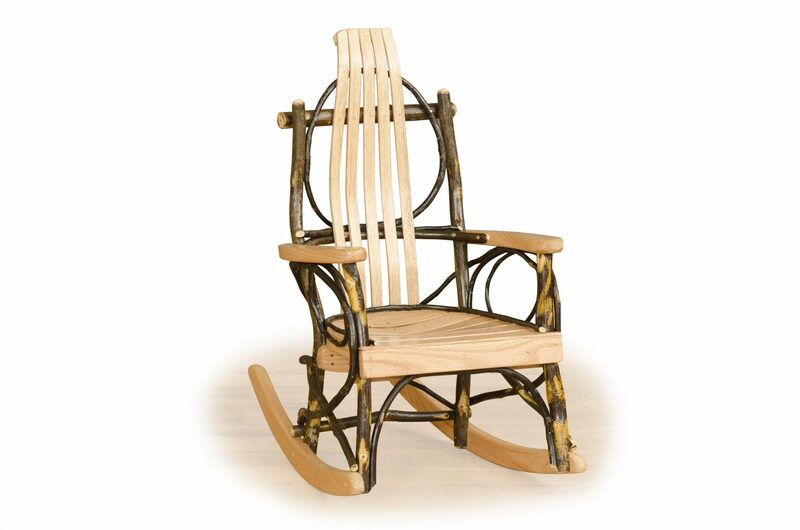 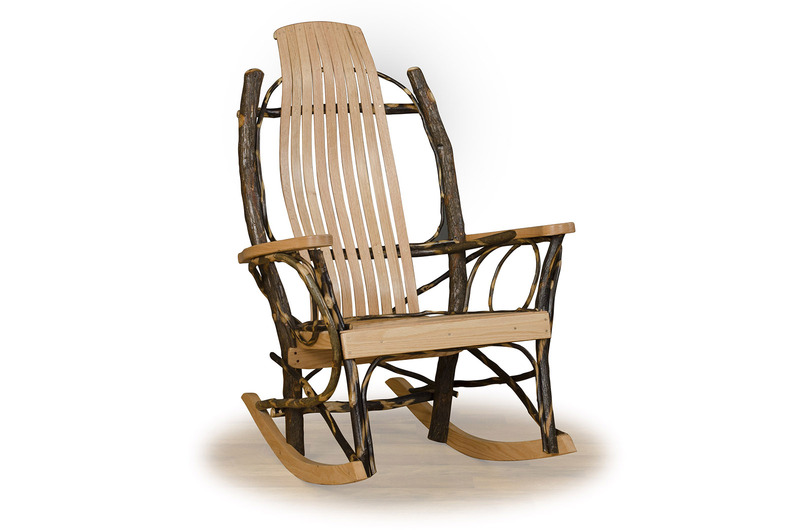 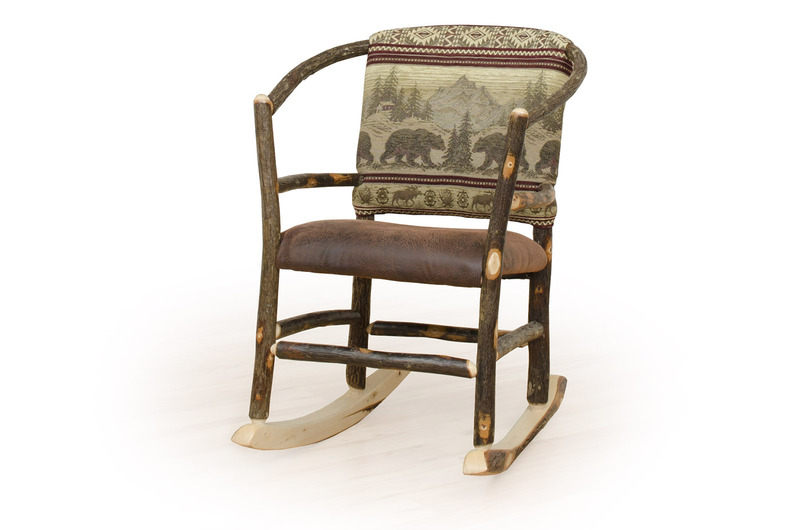 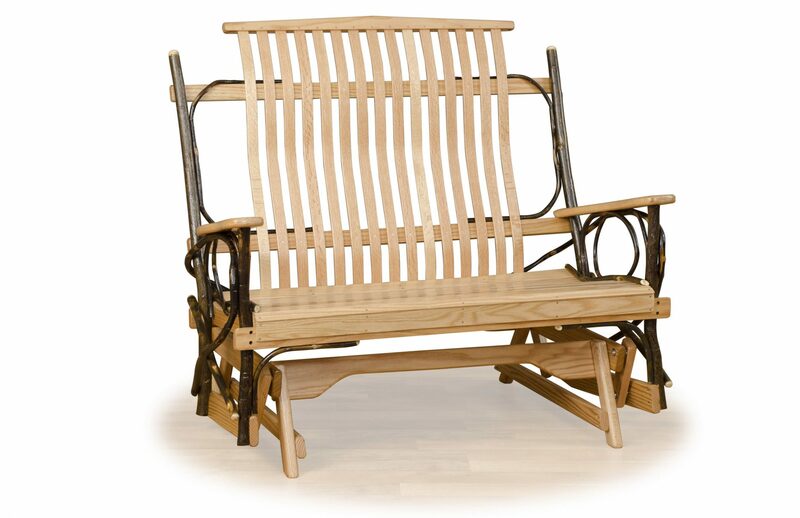 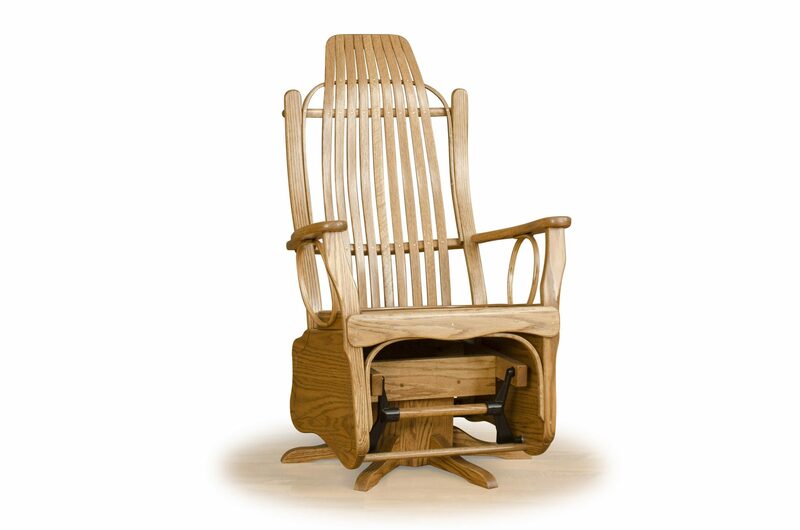 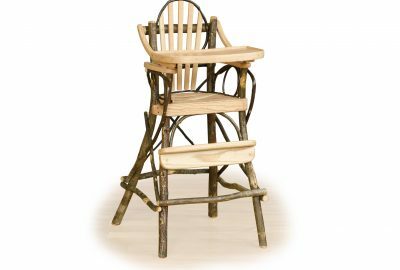 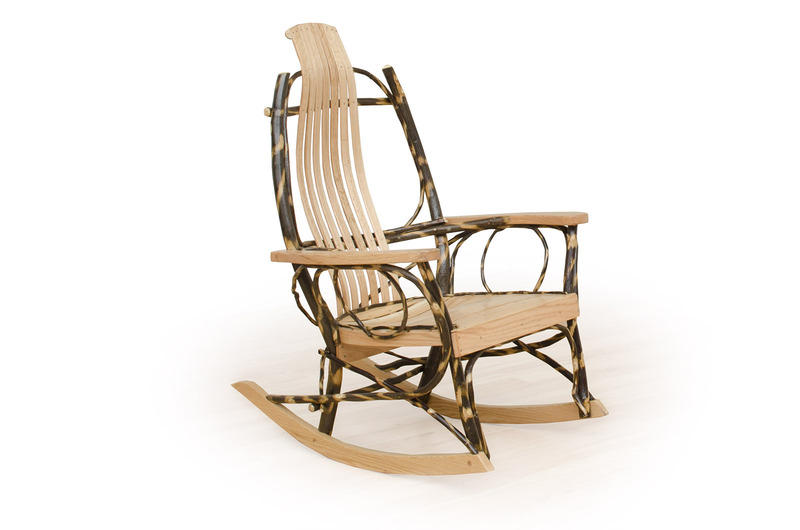 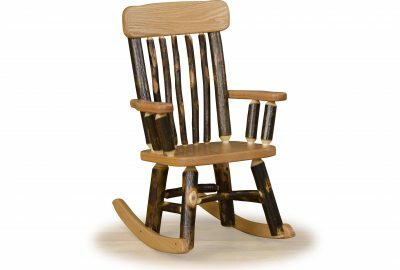 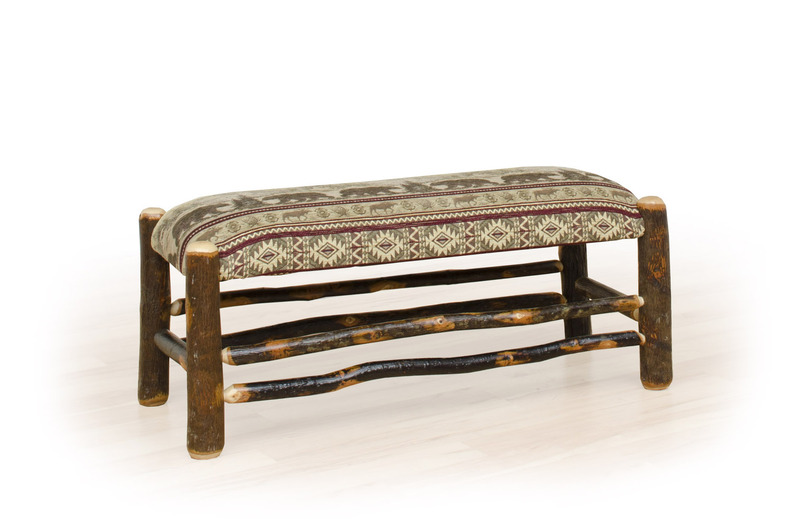 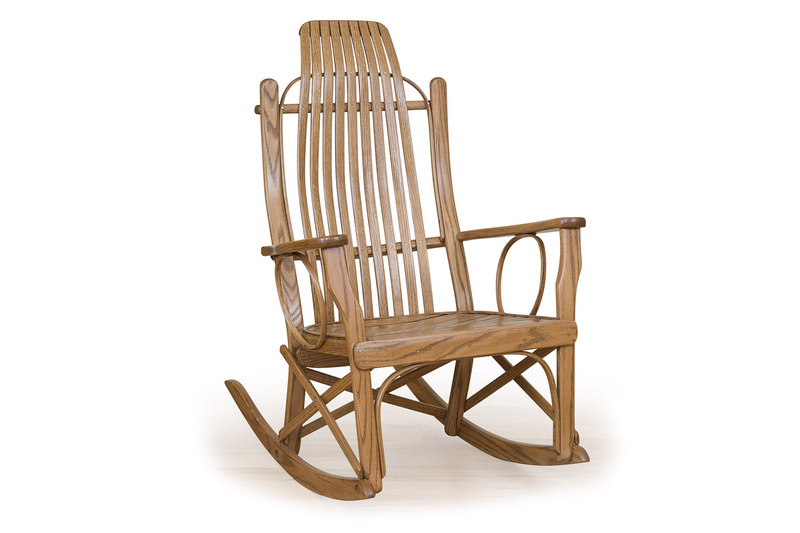 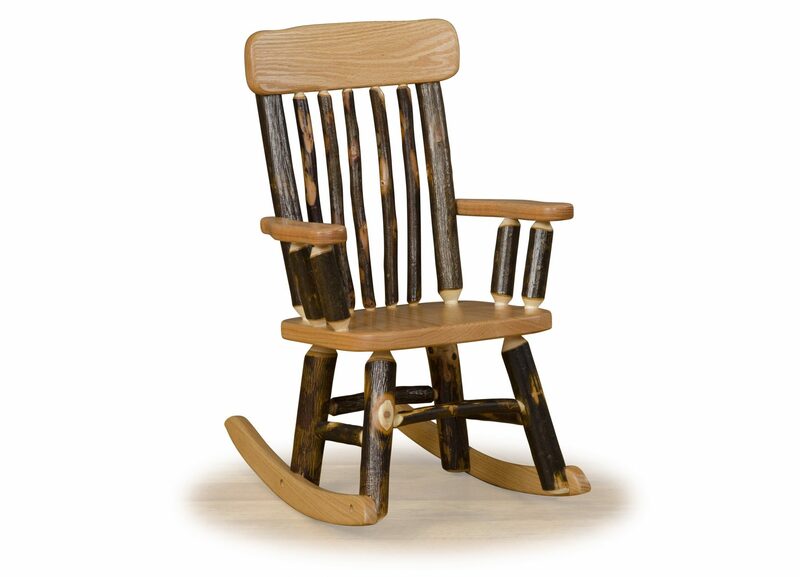 Invest in a hickory rocker or glider. 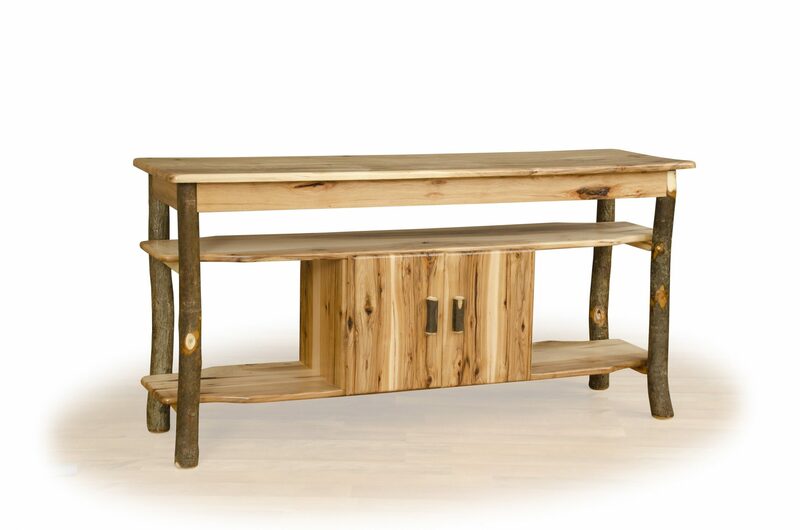 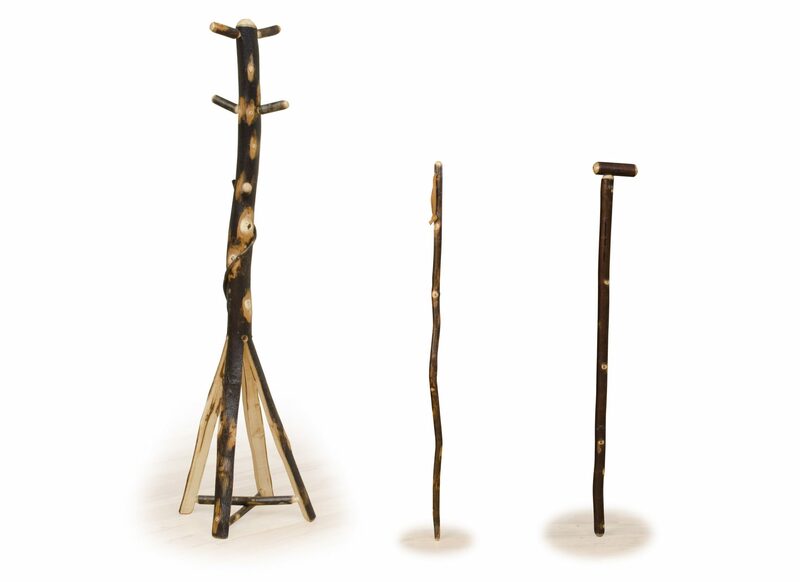 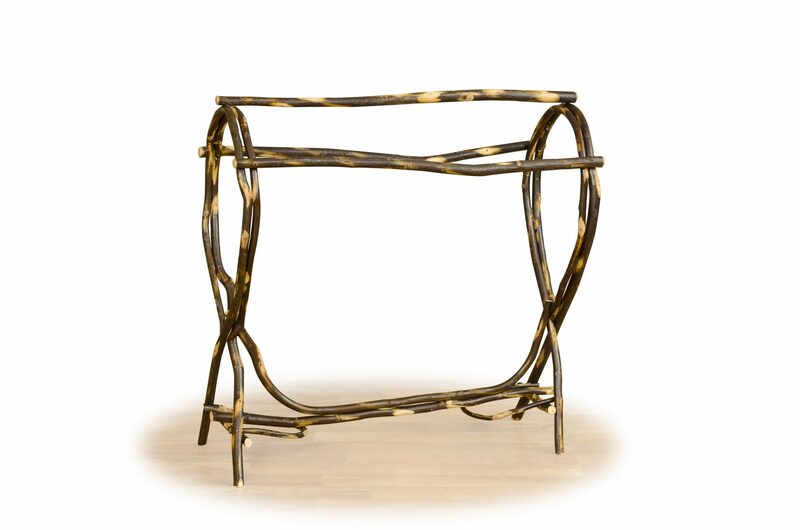 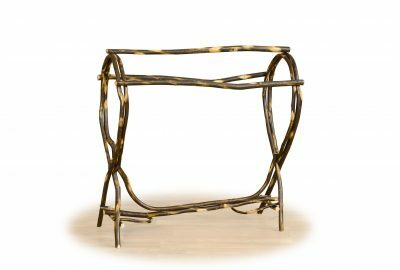 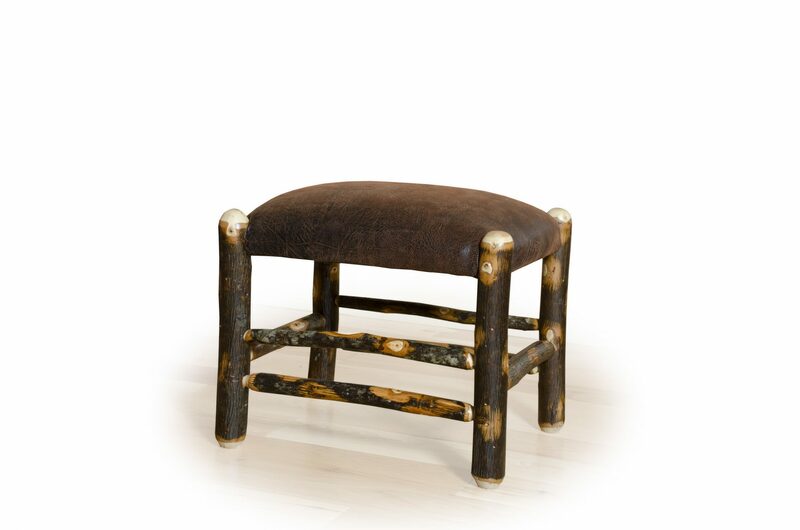 There are many styles to choose from, letting you find the right expression for your living room. 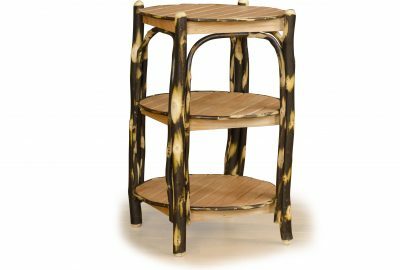 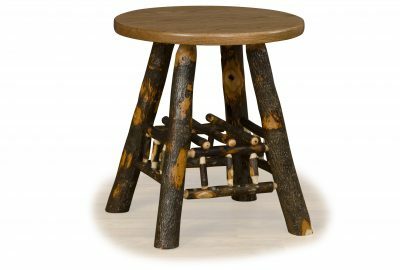 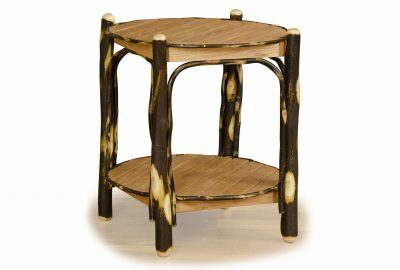 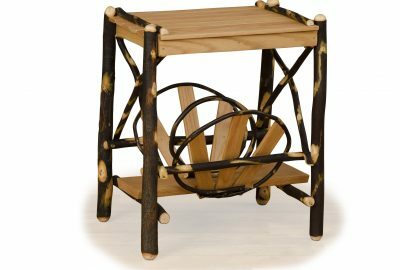 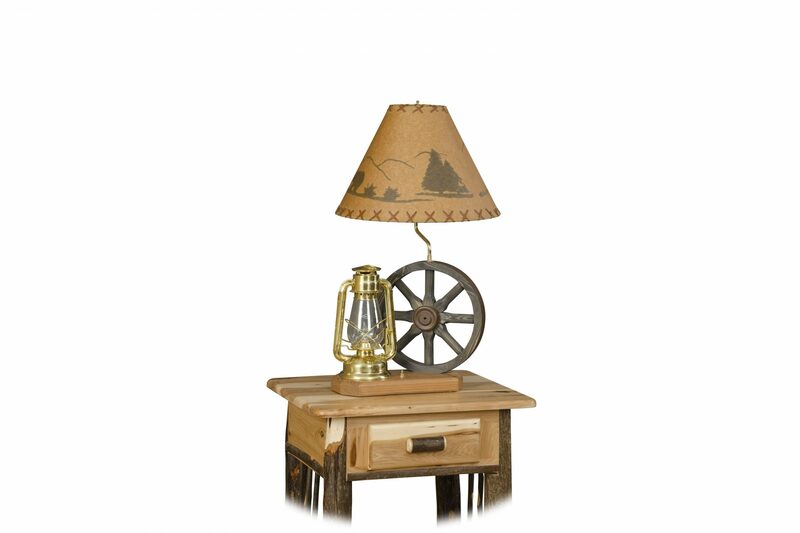 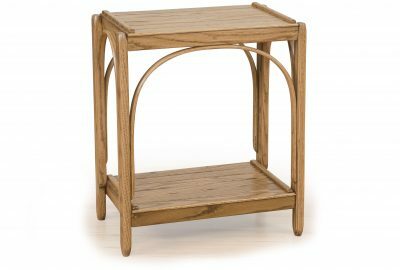 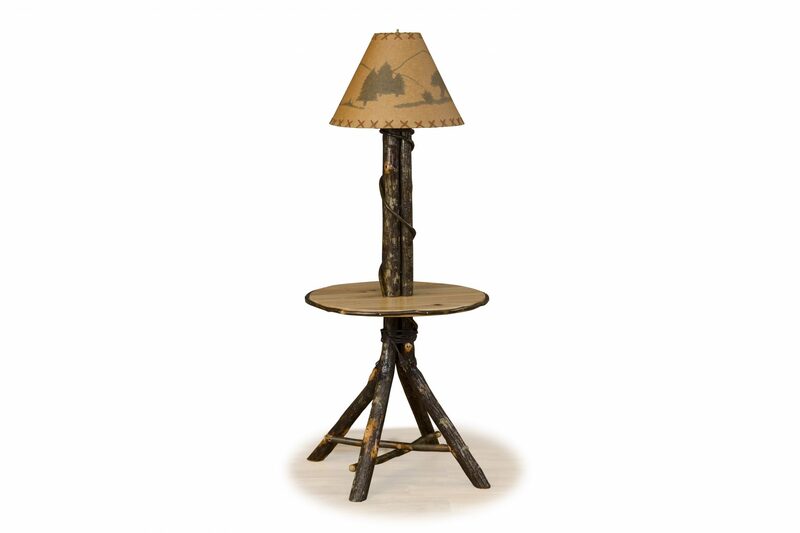 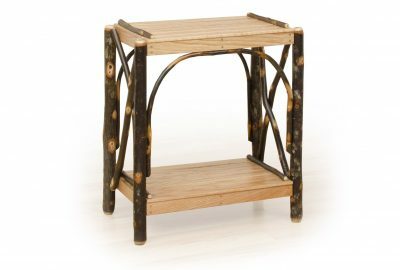 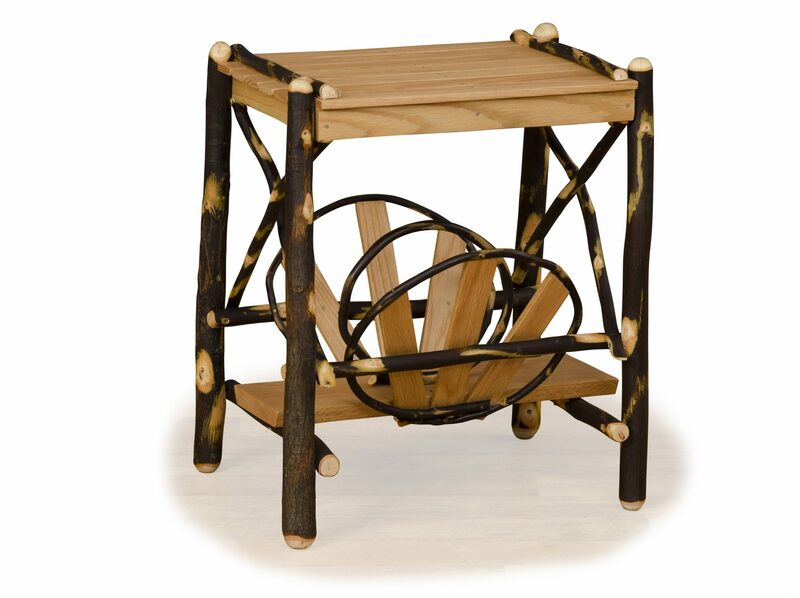 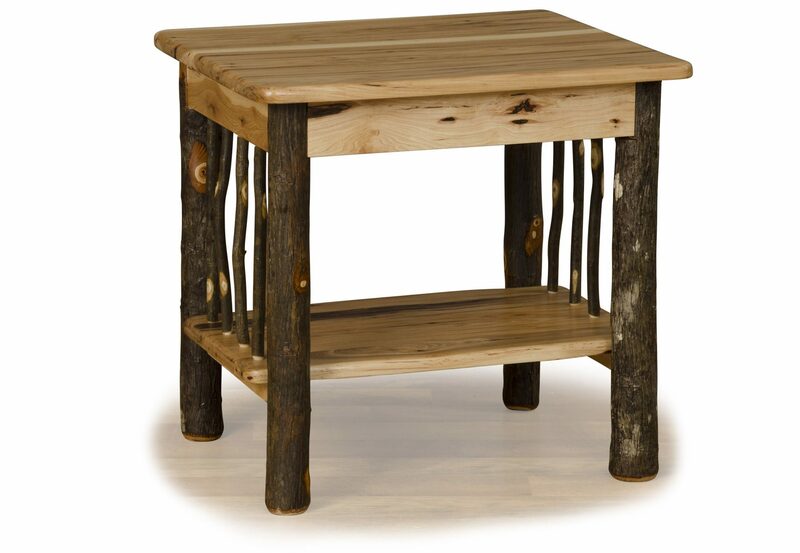 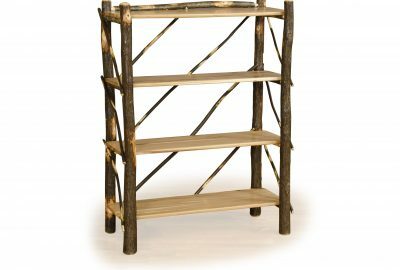 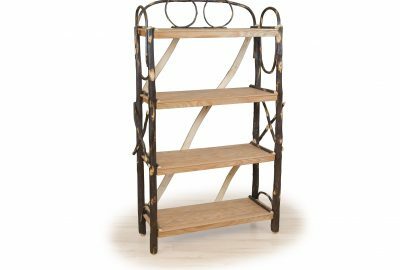 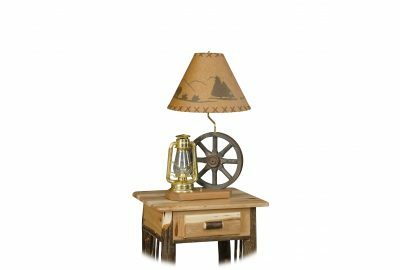 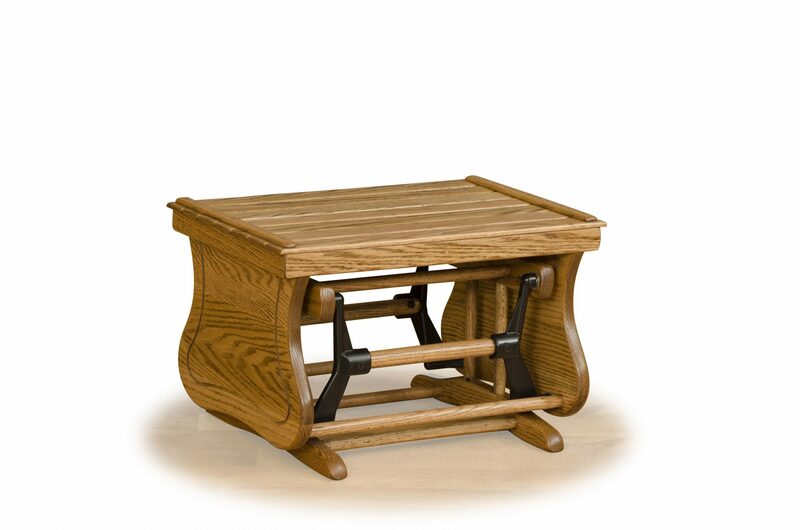 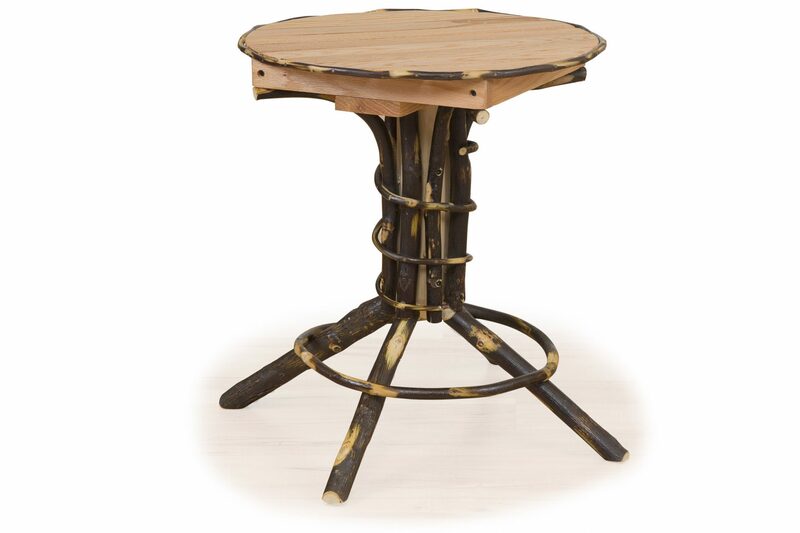 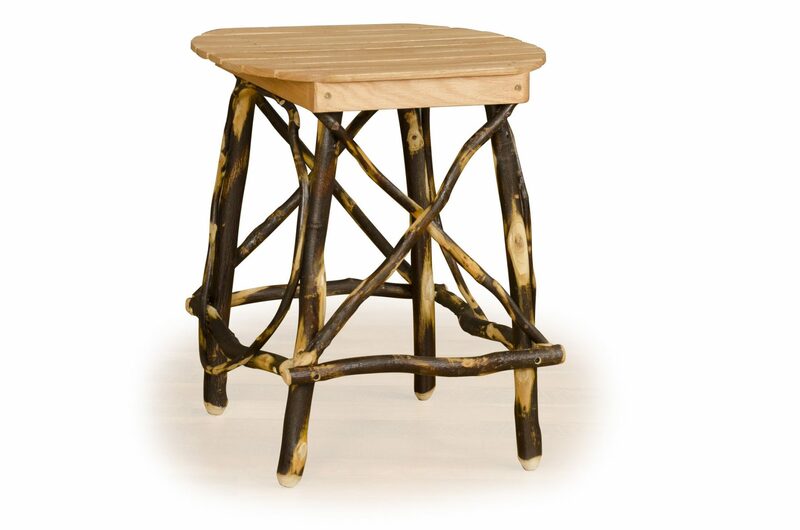 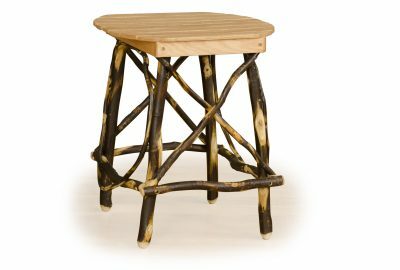 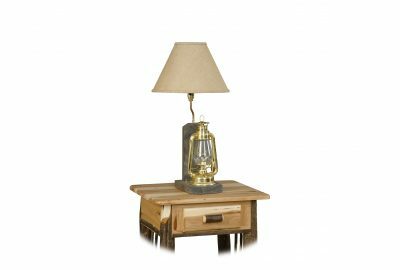 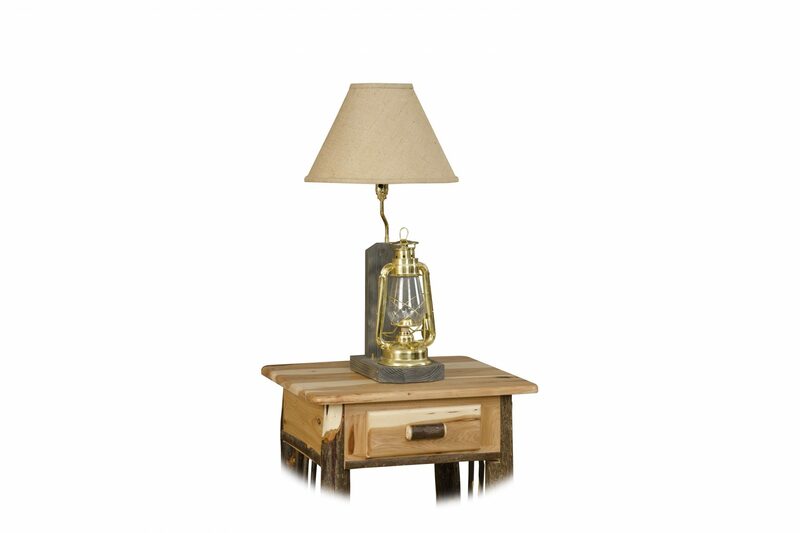 Hickory living room furniture for log homes doesn’t end with seating…select a hickory end table, a charming wagon wheel lamp or a hickory bookshelf. 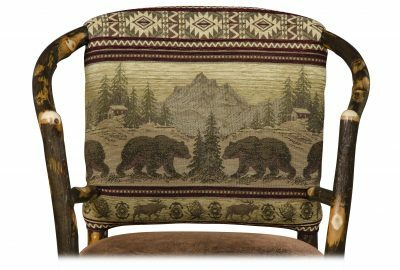 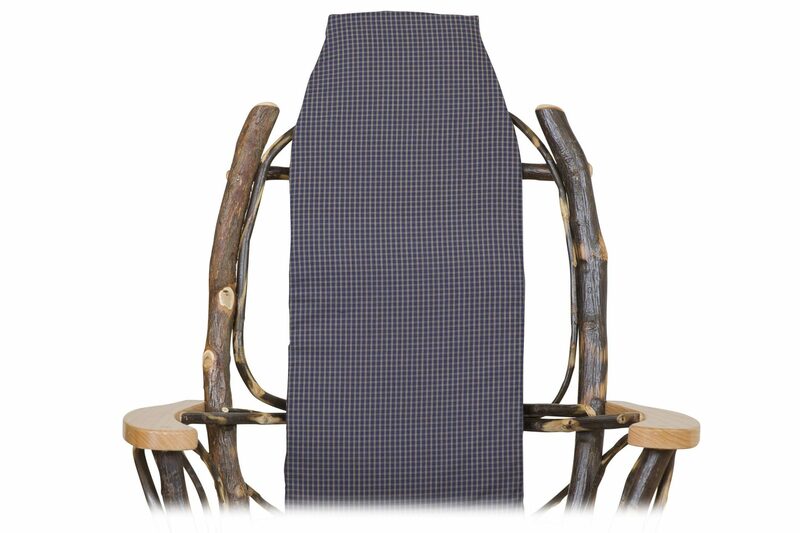 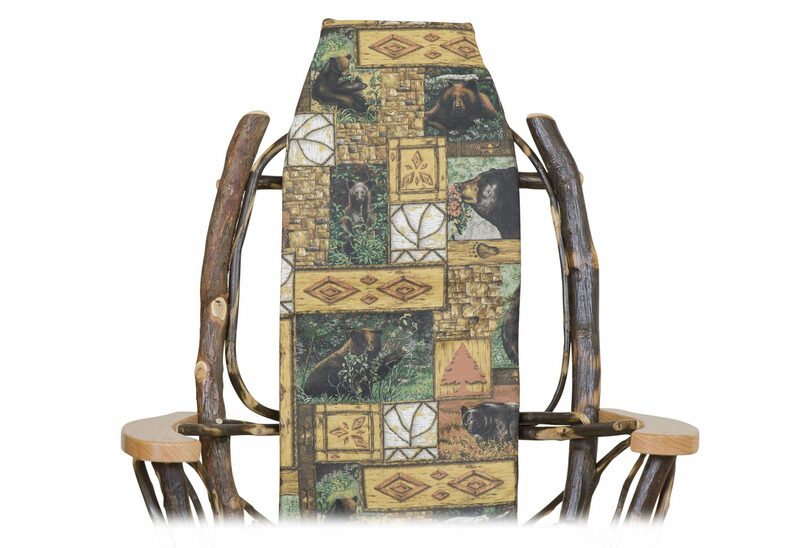 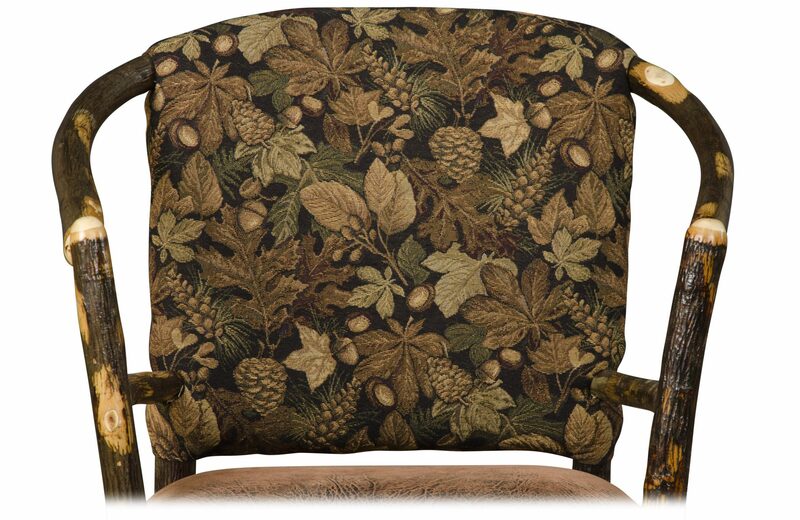 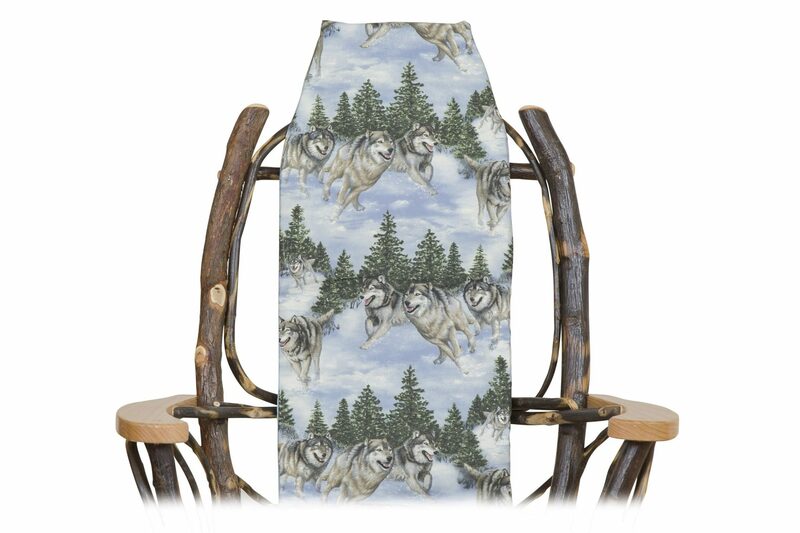 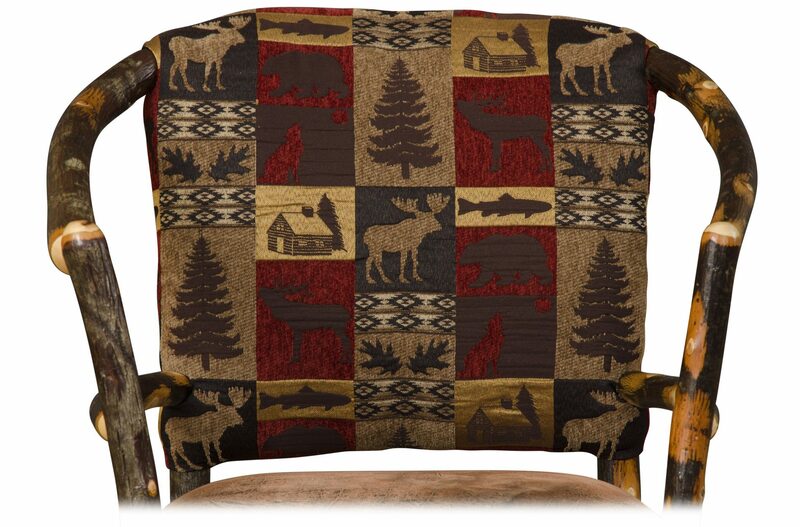 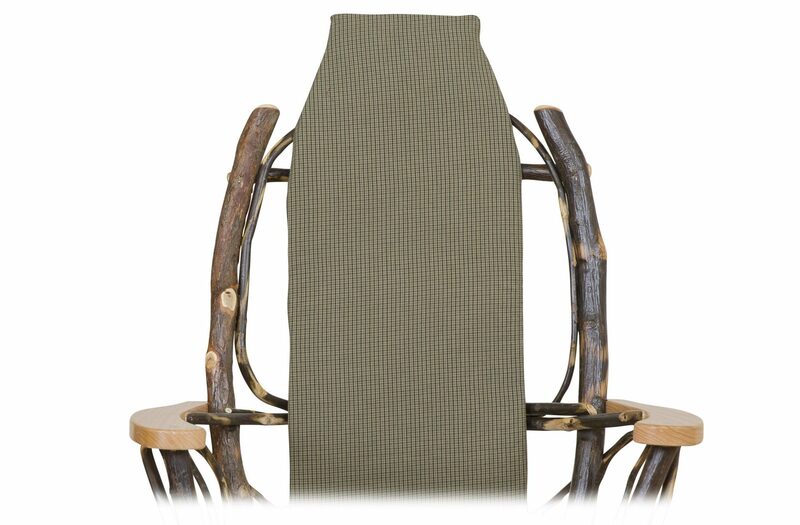 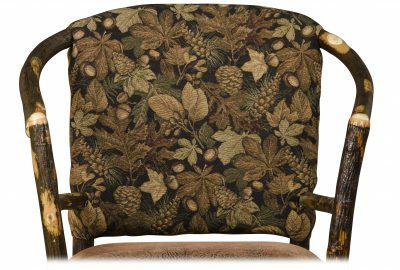 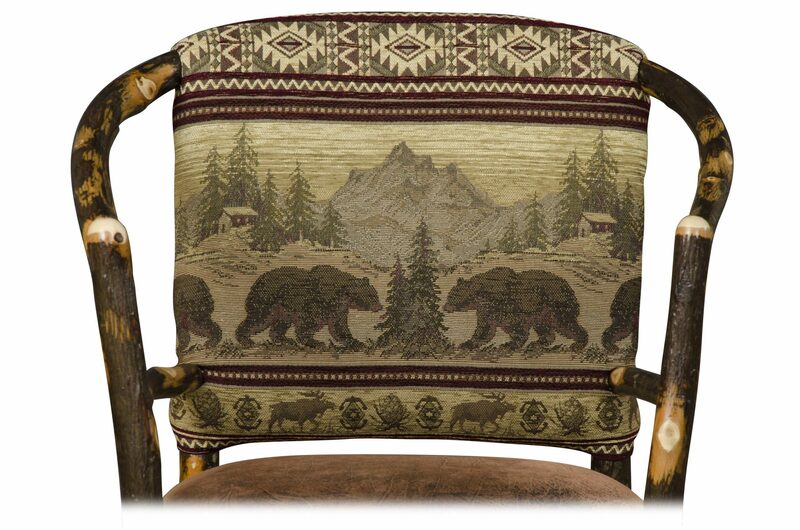 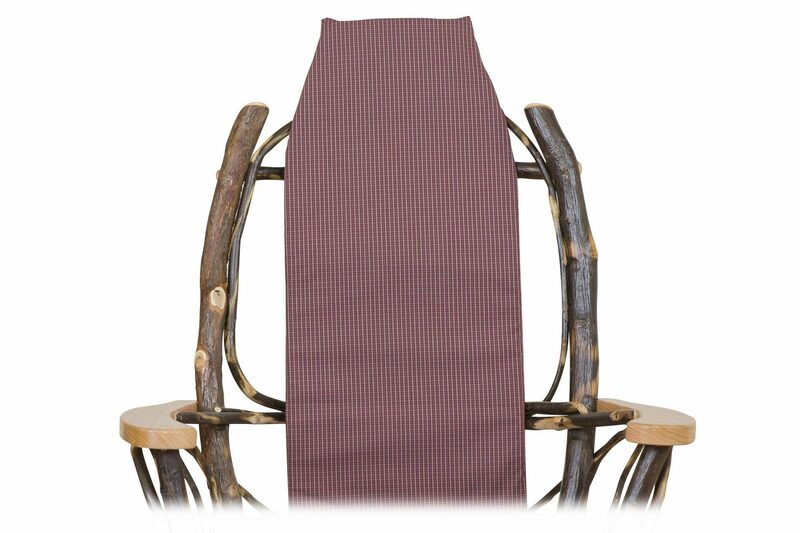 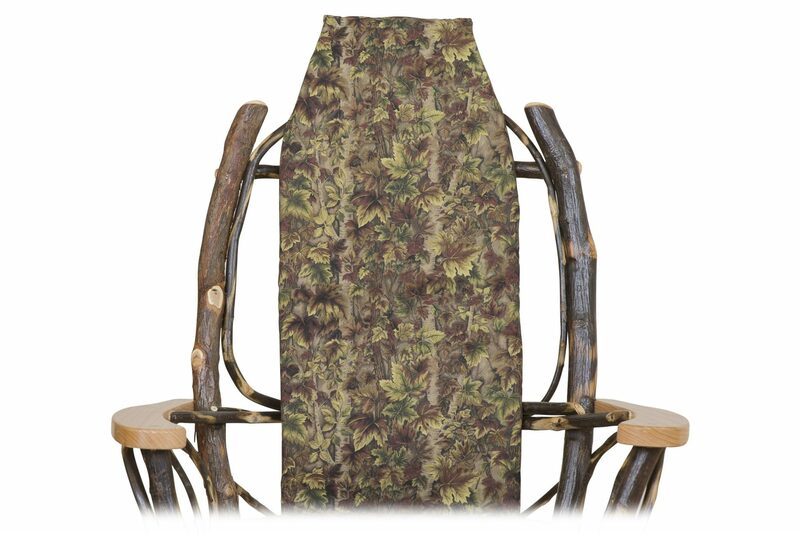 Let your personality show through our chair covers and range of fabric styles. 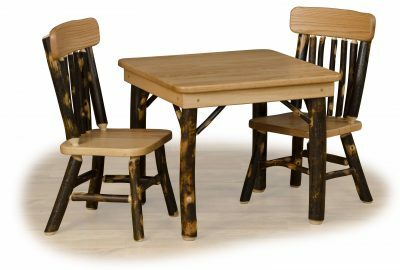 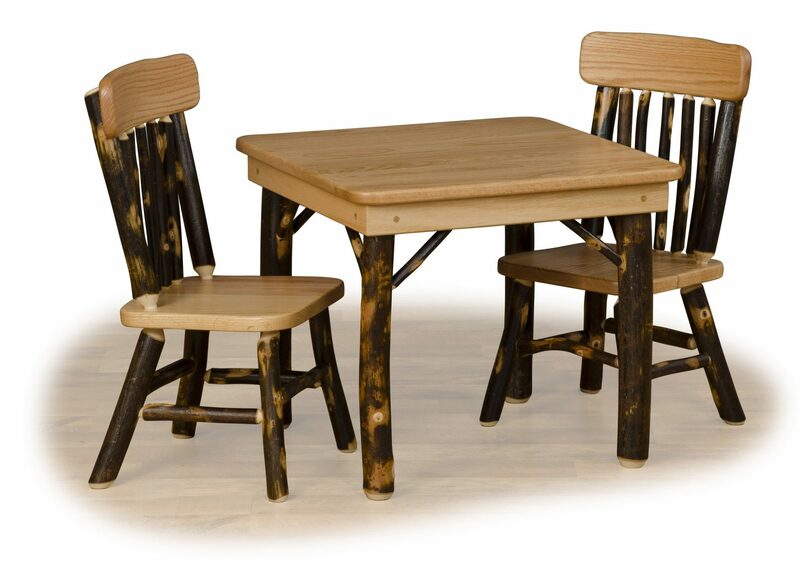  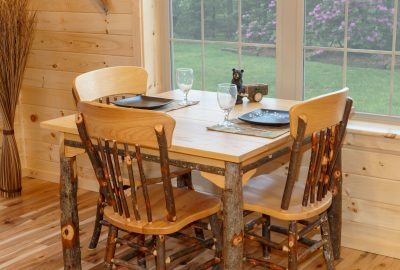 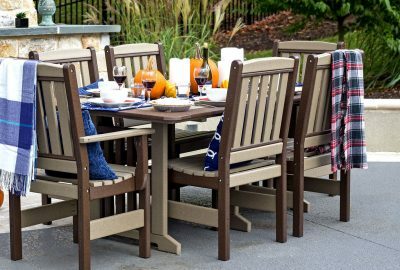 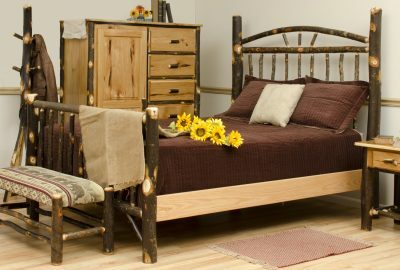 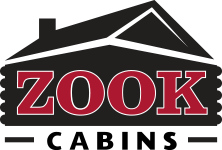 This log cabin Amish hickory wood furniture will turn your Prefab Log Cabin into a log cabin home for your family and friends.